After an overnight flight to meet my father at his latest military assignment, my mother wearily arrived at Rhein-Main Air Base in Germany with my eight siblings and me - all under age 11. 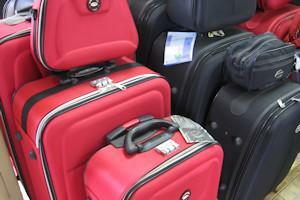 Collecting our many suitcases, the ten of us entered the cramped customs area. A young customs official watched our entourage in disbelief, "Ma'am," he said, "do all these children and this luggage belong to you?"